Connect Ability is a three‐month AT&T global design competition for developers to leverage everyday technologies to create mobile and assistive technology solutions for people with disabilities. 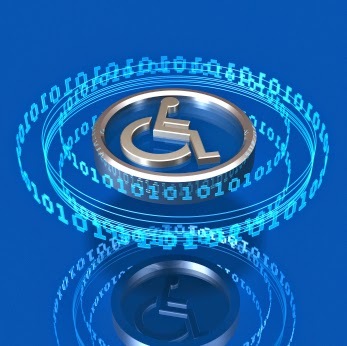 The challenge aims to accelerate innovation of smartphone-­‐based assistive technologies, and rewards developers for engaging people with disabilities to imagine, create and test new solutions. To ensure developers address tangible needs, AT&T, together with the ABILITY Lab at New York University, recruited four volunteers to describe on camera their lives with disabilities and their vision for technology solutions— these compelling two-­‐minute stories are directed at an audience of engineers and makers. Please see one for yourself. Connect Ability’s four NYU volunteers are among several tech-­‐savvy people with disabilities who will host one-­‐on-­‐one virtual and in-­‐person meetings with developers to provide feedback on technological works-­‐in-­‐progress on track to be submitted before the June 24th deadline. These “collaboration sessions” will take place during the first week of June. Do you know people with disabilities who might be interested in volunteering? AT&T and the Connect Ability team will help individuals interested in volunteering use their Skype or phone to meet a developer and provide feedback during a pre-­‐scheduled session. In most cases, developers will describe their ideas or prototype during the collaboration session. Some developers may ship a phone in advance for a volunteer to use an app in real-­‐time or simply email a link for the volunteer to download and test a solution on their own. The collaborations sessions will run approximately 20-­‐minutes and will be facilitated by a Connect Ability competition organizer. AT&T will provide volunteers with orientation prior to meeting. Organizations home to three or more people with disabilities interested in volunteering to give feedback can contact AT&T about hosting a “collaboration workshop” that consists of a presentation by AT&T on assistive and mobile technologies, and confidential one-­‐on-­‐one break-­‐out sessions with people with disabilities volunteering to give live feedback. Like the individual sessions, feedback will be provided over Skype or phone, and may include prototype technologies provided in advance. AT&T will structure, facilitate and produce group events. To learn more, contact Neil Giacobbi, AT&T Executive Director for Public Affairs at or 212-­‐803-­‐2626.